Delighted to be Your florist in Toronto! 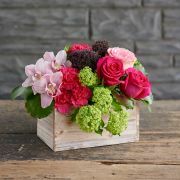 Order easily and securely from our most popular floral arrangements. Each is hand-crafted by one of our talented designers. Are you looking for a custom design? Just phone us at 416-766-6121 for a helpful consultation. Spring bulbs with just a hint of colour, and the recipient can watch the flowers open a little more every day. The perfect winter pick-me-up! Plants include hyacinth, tulips, mini daffodils, crocus and grape hyacinth. Some substitution may be necessary. Shades of pinks and touch of green viburnum, perfect for any dining room table. Beautiful trumpet-shaped blooms open one by one until there are 13 - 15 altogether. With its lovely fragrance, the Easter lily is an annual favourite. Seasonal availability, while quantity last. For that Lovely Lady in your life who is strong, bold and beautiful. A full and bright arrangement including locally grown tulips, gerbera, daisies and iris. Designed in the vase, ready for the table. This will surely brighten up your day! Martin's, the Flower People has been proudly serving Toronto since 1898. 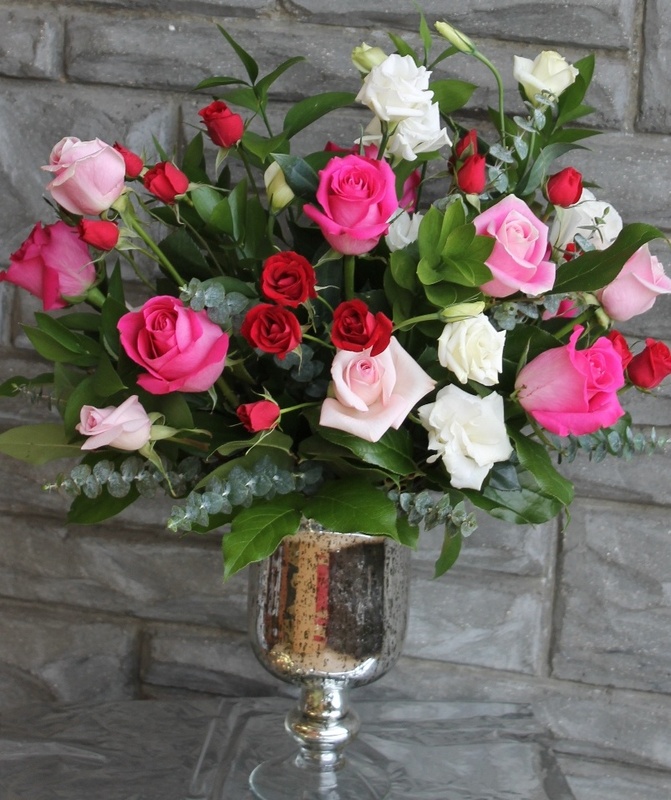 One of the most reliable flower shops in Toronto, we deliver throughout the Greater Toronto Area. Downtown and West Toronto delivery all day long. We offer fresh flowers, same-day delivery and a 100% satisfaction guarantee. Browse through our online catalogue or call 416-766-6121 or 800-263-1510 for friendly, personal service.